The Rebel Sweetheart. : Spotlight | Human Heart Nature Perfect Glow Mineral Blush in Sun-kissed. Spotlight | Human Heart Nature Perfect Glow Mineral Blush in Sun-kissed. Despite the sudden, heavy rainfall last Saturday, I somehow managed to attend the afternoon schedule of the Magalogue Turnover at Human Heart Nature Laguna's Concept Store. Sun-kissed on the left, Pink Bloom on the right. Whilst at the Concept Store, I had the chance to swatch both shades of the all-new Perfect Glow Mineral Blush. There's Pink Bloom, a cool-toned pink reminiscent of Rosy Cheeks from the old Mineral Blush line. And then there's Sun-kissed, a warm-toned coral that bears resemblance to another old shade, Tropical Rose. Remembering that I have way too much pink blushes already, I chose to bring home the latter - something that's not pink for a change. Perfect Glow Mineral Blush in Sun-kissed. Like its predecessor, the Perfect Glow Mineral Blush is a blend of natural Vitamin E and pure mineral pigments and contains absolutely no harmful chemicals. No chemical preservatives, no parabens, no mineral oil - none of these toxic substances. 'Only the good', as the Human Heart Nature label would say. The most distinct difference between this blush and the old Mineral Blush is in the packaging. The Perfect Glow Mineral Blush has a bigger size at 4.3 grams (the old Mineral Blush was 3.5g), and it now comes in a sleek purple compact, complete with a mirror and a 'natural' brush. Although the brush can pack a lot of color, I find it a bit too small and too flimsy to hold. And so I ended up using my own kabuki brush instead. Now when it comes to color payoff, the Perfect Glow Mineral Blush has the upper-hand against its predecessor. 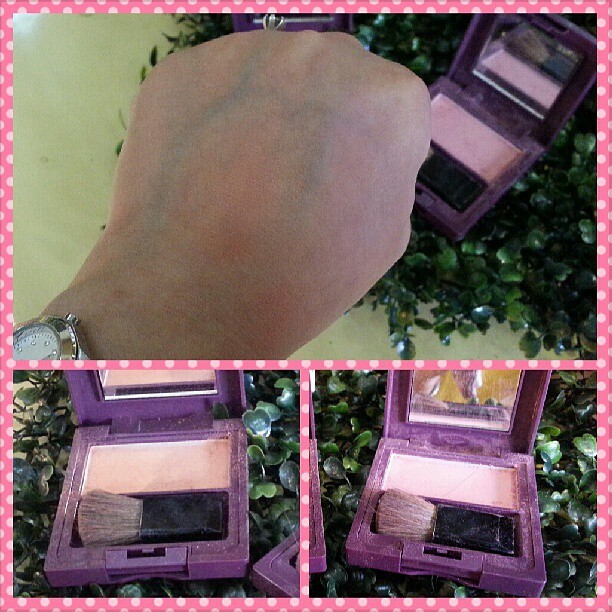 This new blush has better pigmentation, and wears longer (around six to eight hours) than the old Mineral Blush. It has a buildable formulation and a semi-matte finish that doesn't make your face look too made up. And true to its name, Sun-kissed gives your cheeks a nice healthy, glow - like you've been out bathing in the sun. - The brush is a bit flimsy, but it does pack a lot of color. Human Heart Nature Perfect Coverage Mineral Foundation in Honey. Majolica Majorca Lash King Mascara. CHEEKS: Human Heart Nature Perfect Glow Mineral Blush in Sun-kissed. Sleek Makeup in OMG, MUA Lip Boom in Cheeky. Very pretty and sweet light color. Great on you!! I like that it's cruelty free. i agree about the packing. very cute! I have such a hard time finding the right shade of blush. This would have been a great event to attend! The shade is really nice on you, I like it because you mentioned it stays on longer and has a semi-matte finish. But I don't own one so maybe I'll wait for your giveaway then! lol! Look like the product added a glow to your face and the pros does outnumber the cons. so love the shade of that blush! I love orangey blush I am actually using the same shade but more darker. Pink doesnt seem to look on my morena skin tone. I'm not a blush person but that looks very nice and natural, esp on bare skin. It's a nice natural color and planning buy one too.. hopefully it will look great like yours. I love Human Nature products especially their skin care prods, effective yet inexpensive! It's so hard to find the right cosmetics. Sounds like you've found what works well for you. That's great. Lovely color, too! I love the color it looks natural. As always the brush included is flimsy. I really like that blush shade you took home! Must stop by our Human Nature outlet to get it too! I have always loved coral - toned blushes because they warm up my skin more than the pinky ones. :) Having said that, I also love sporting orange and coral lip colors to go with the blush :) I have only tried HN's eyeshadow palette and thought it was all right. This new blush seems better in terms of over-all pigmentation. Nice color sis! 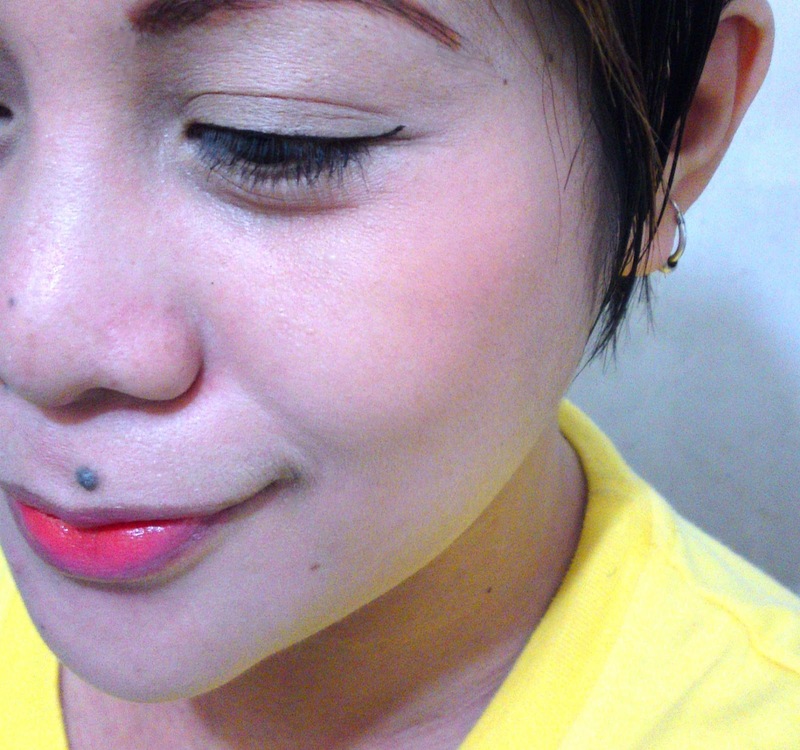 I actually love that shade :)) Need to grab one soon!